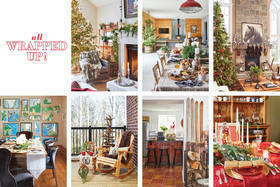 A third generation family home in Hanover showcases lots of personality. 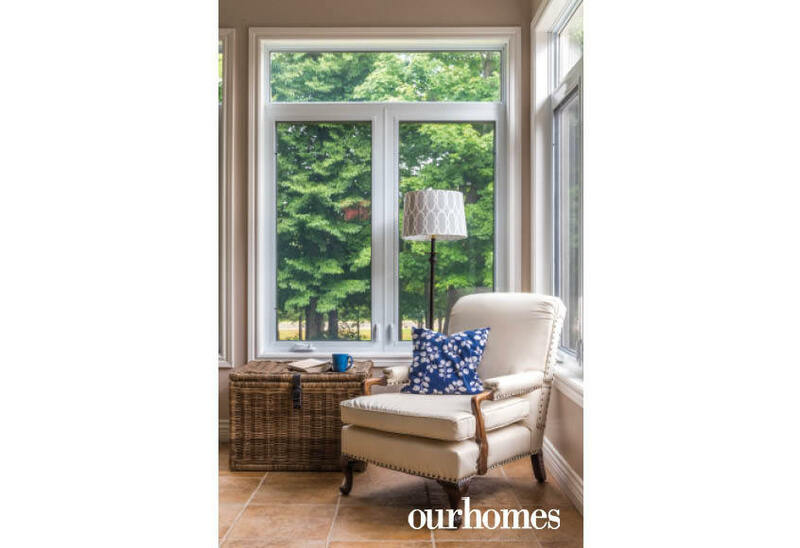 A version of this article originally appeared in the Fall 2018 issue of OUR HOMES Grey & Bruce Counties, p.34. Find local businesses in our Grey Bruce directory. 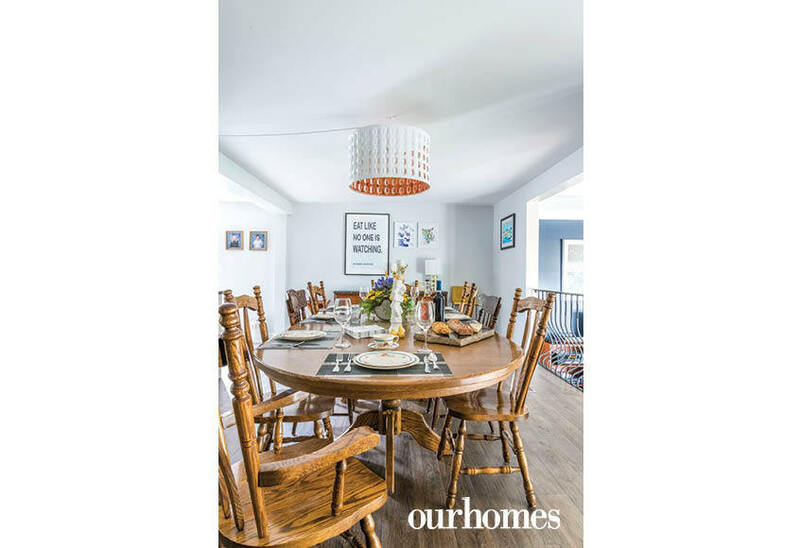 Functionality was a key theme while Reay and Courtney Hunter renovated the family homestead in Hanover. Reay is the third generation in his family to put down roots in what was once a double-wide mobile home. 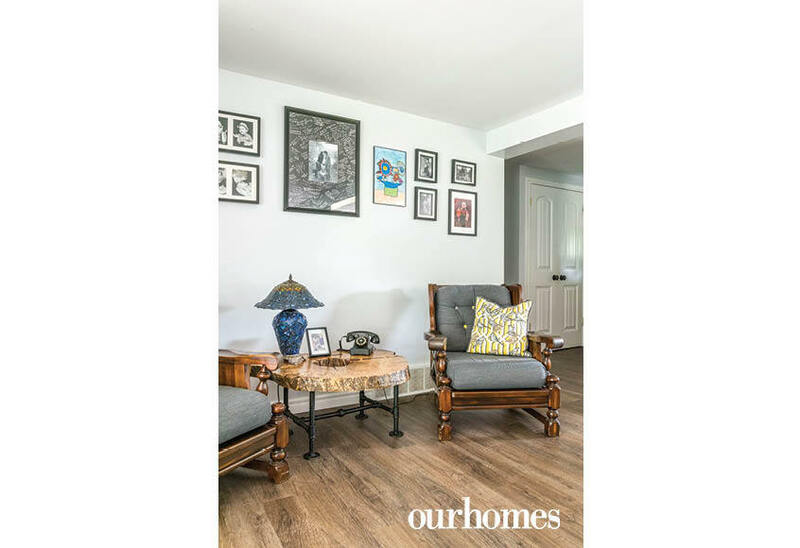 The ranch-style home is now completely unrecognizable from how it appears in the old photograph that hangs in the brightly-painted, closed-in breezeway. The 2,500 sq. 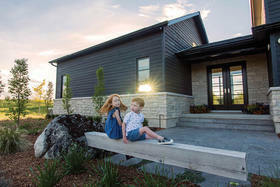 ft. open-concept home offers plenty of functional space for the couple, their two children Liam and Elliott and the family dog, Bruce. 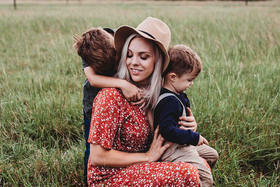 It’s a place to showcase and enjoy unique treasures collected over the years and unwind after a long day at The Old Barn Polished Stone Creations, the family business. Reay’s parents, Ted and Brenda, completely gutted the home after purchasing it from Ted's parents in 2004, putting an addition on the front as well as relocating the basement staircase and finishing the lower level. 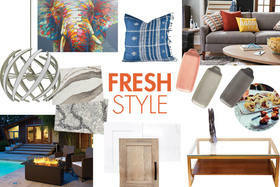 Reay and Courtney put their personal stamp on the home after taking over ownership from his parents two years ago. The biggest change happened in the kitchen. 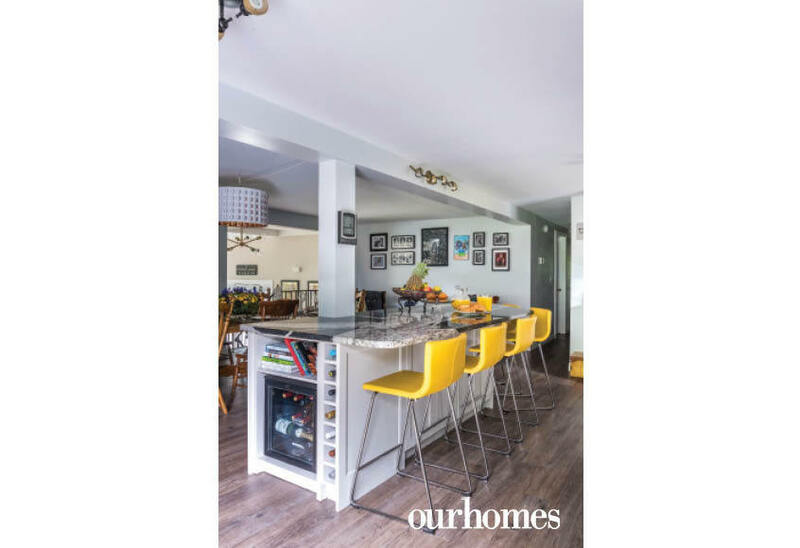 Reay and Courtney reconfigured the island and dining room to open up the space and they also added new cabinetry. 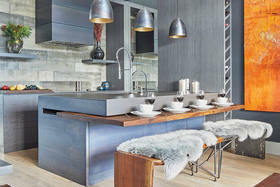 Reay designed the space himself and chose Bruce County Custom Cabinets to complete the work. The Hunters looked no further than their own backyard for the perfect granite countertops to achieve the modern look they were after. Along with purchasing the home in 2016, Reay and Courtney also took over The Old Barn. They selected Black Horse, a black stone with chunky streaks of lighter stone running throughout, to accent the Absolute Black granite around the perimeter. 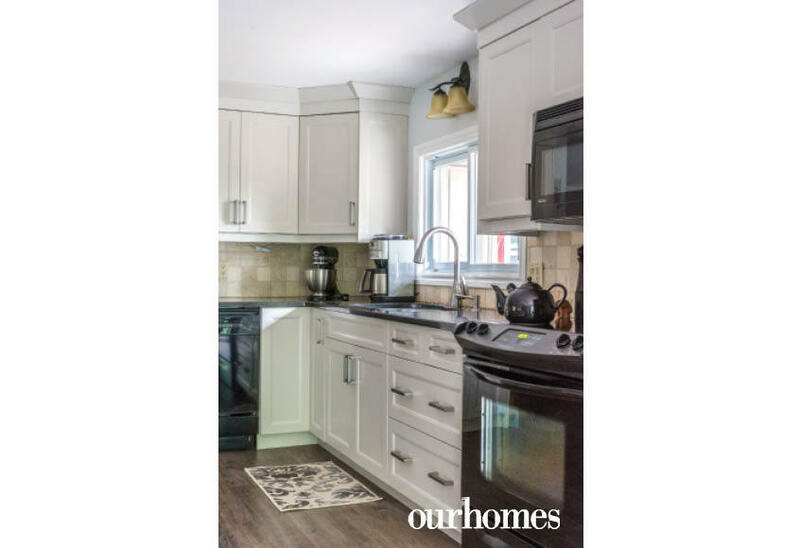 The couple chose a light grey paint colour by Benjamin Moore for the kitchen and dining area and durable Vintage Timberwolf luxury vinyl plank flooring from Cuneo Interiors. 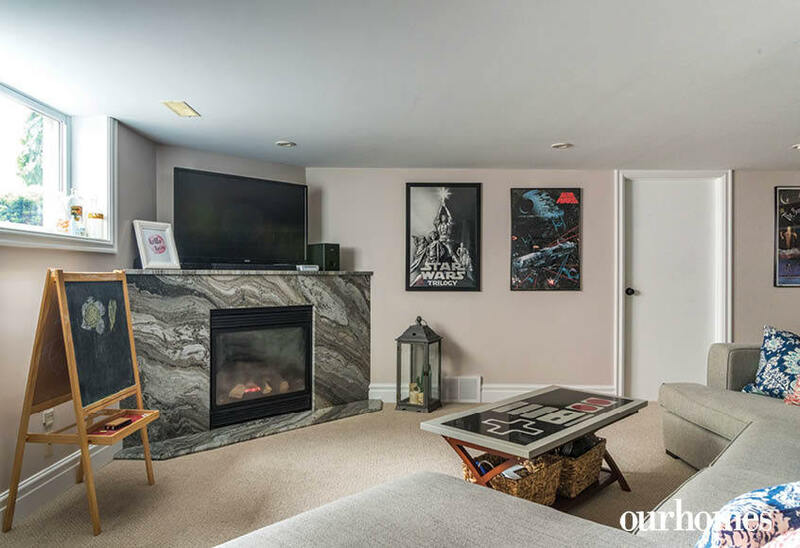 Downstairs, a large grey sectional from Smitty’s Fine Furniture allows the family to cosy up in front of the granite fireplace (Muskoka Tides from The Old Barn) and enjoy a movie. 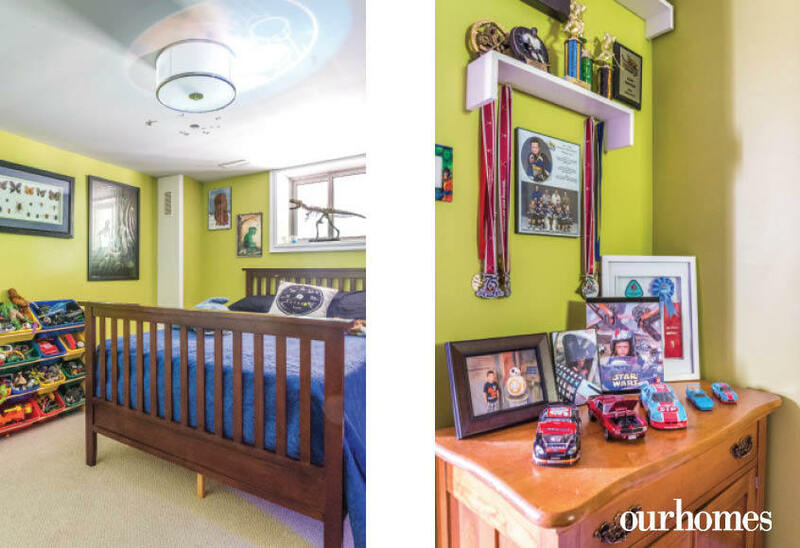 The family’s love of Star Wars is evident in the chosen wall hangings, which also include band posters from the couple’s teenage days. Outside, the home received new red exterior doors, as well as sleek garage doors by Peninsula Overhead Doors. The newest renovation to the home is the 375 sq. ft. deck, which they had built by Candue Homes last summer. 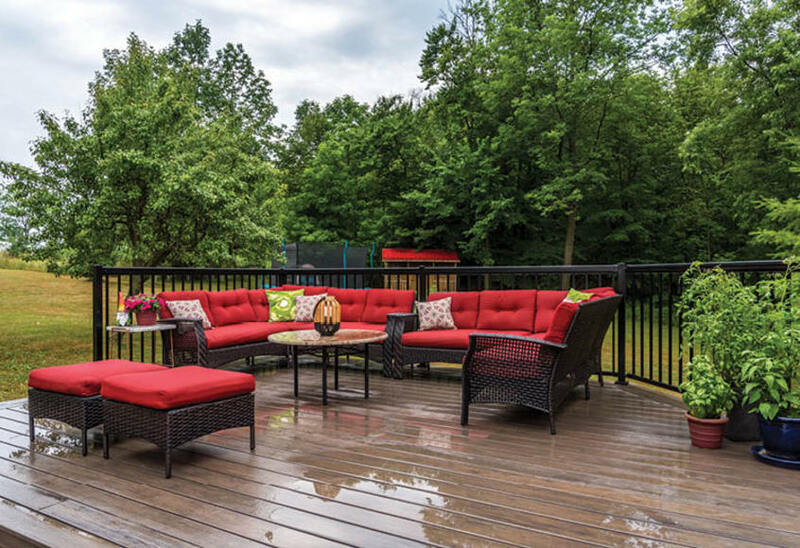 The composite deck material is easy to maintain and creates additional gathering space to enjoy the quiet, country property. 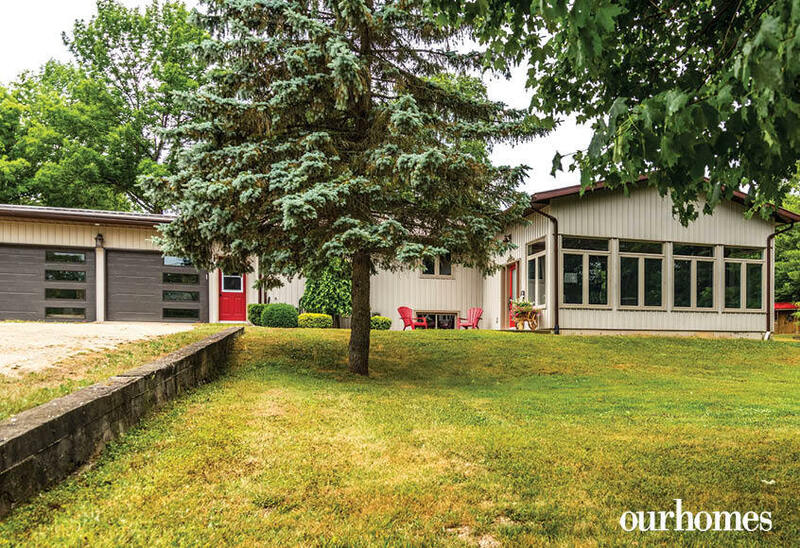 The exterior of this third generation Hanover home was recently updated with new garage doors with a sleek and modern profile. 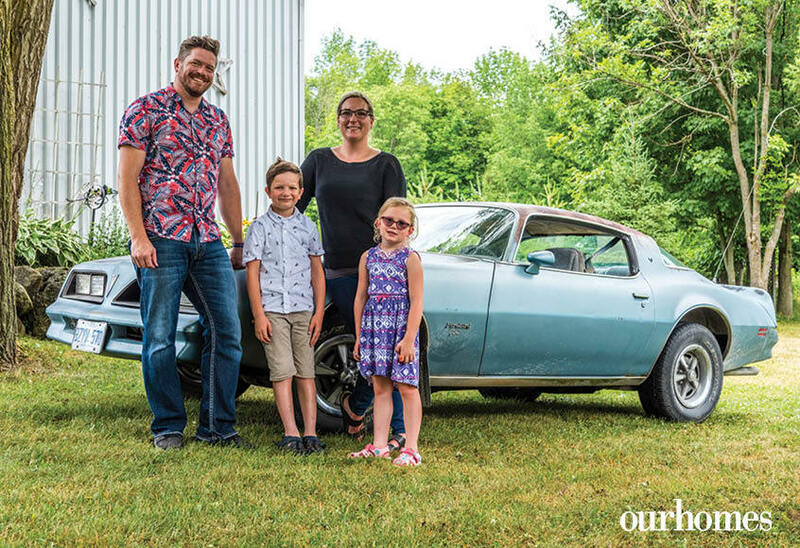 Reay and Courtney with children Liam and Elliott in front of the family’s 1978 Firebird Esprit, which has just the right amount of patina to suit their tastes. 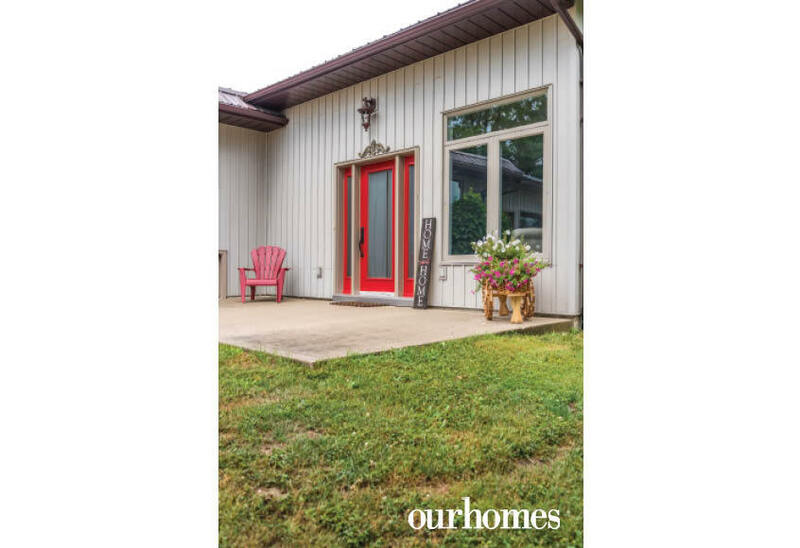 The neutral exterior is accented with a new front door in a lively red hue. 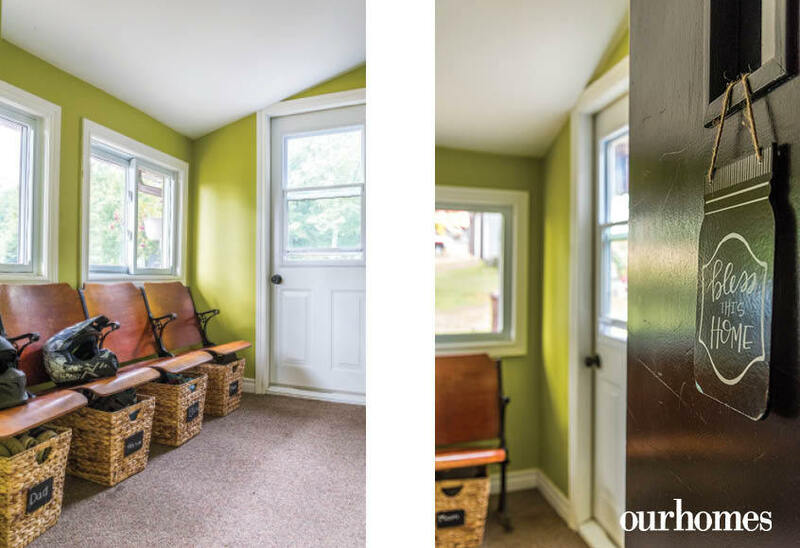 Courtney and Reay Hunter were able to purchase a portion of the old-style theatre seating from their church, which adds charm and functionality to their entranceway. A chalkboard message greets each time the family steps inside. A chair from Courtney’s godfather has been reupholstered to create the perfect spot for a good book and a hot cup of tea. A set of vintage china Courtney inherited from her grandmother adorns the family’s harvest table, while their children’s artwork adds an element of Picasso to the walls throughout the home. 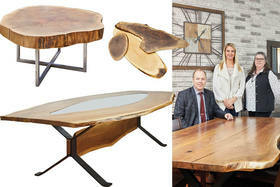 A rotary inspired touch-tone phone is perched on a unique live-edge table, which was purchased at an auction in support of the Youth for Christ organization in Hanover. A kitchen essential? Their beloved coffee maker has a built-in grinder for the freshest coffee each brew. The sideboard was an amazing vintage find and has been customized with a new granite top. The family loves Caesar salad and this bowl doesn’t occupy table space (and is a decorative piece on its stand when not in use). 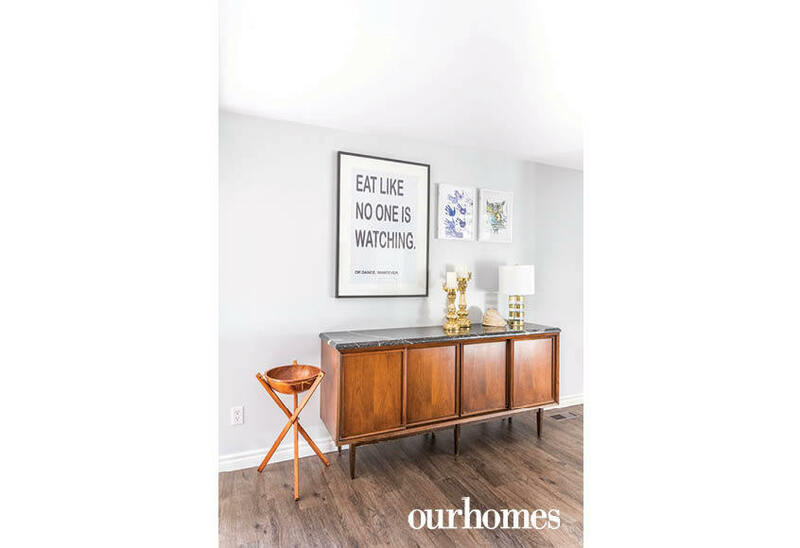 The grand living room is where the family relaxes, enjoying their shared love of music, evident from the posters gracing the walls in the living room and lower level of the home. Liam and Elliott master vintage video games in the family’s primary gathering area. A navy accent wall adds a touch of modern drama to the room. 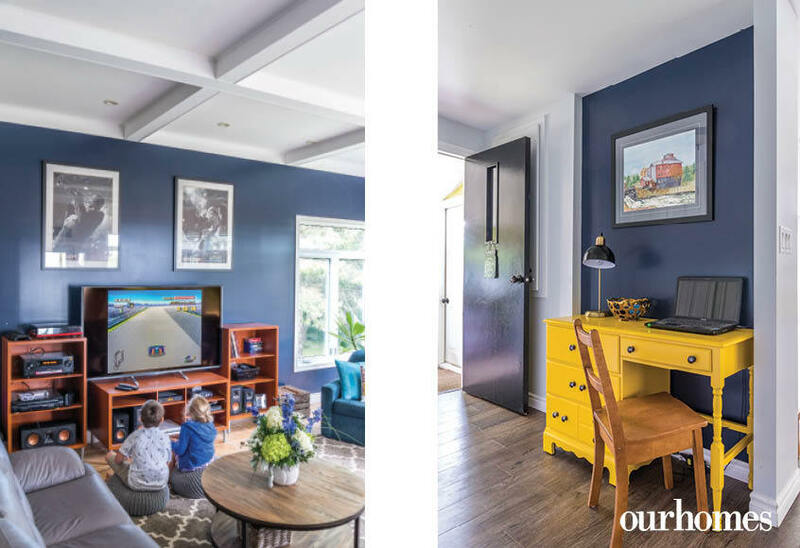 A dark blue wall is the perfect backdrop to the bright yellow desk and a painting of the Ayton Mill by Courtney’s mom Jan Croghan. The master suite is located on the main floor of the home. It is a simple yet relaxing space for the couple to unwind after a long day at work, which is situated on the same property. 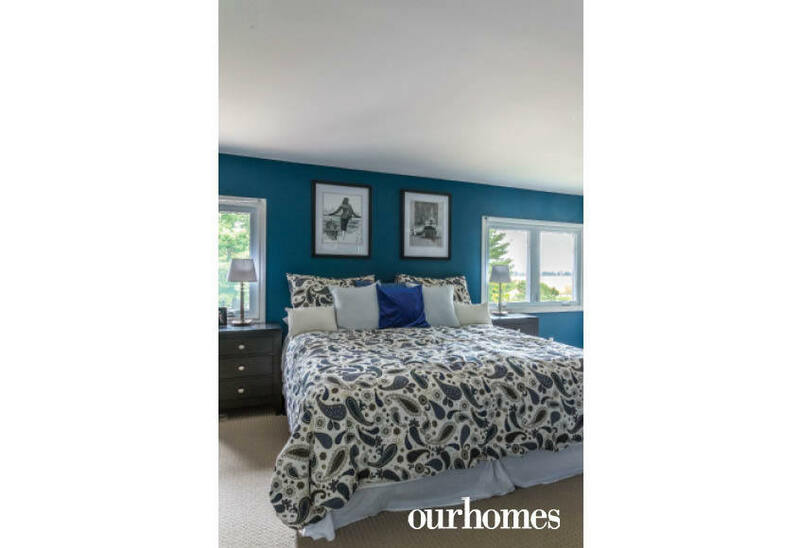 The walls are a rich blue (Benjamin Moore’s Blue Danube) with black accents, including a tallboy and dresser from Durham Furniture. The blue walls are a great complement to the paisley patterned bed spread in the principal suite. 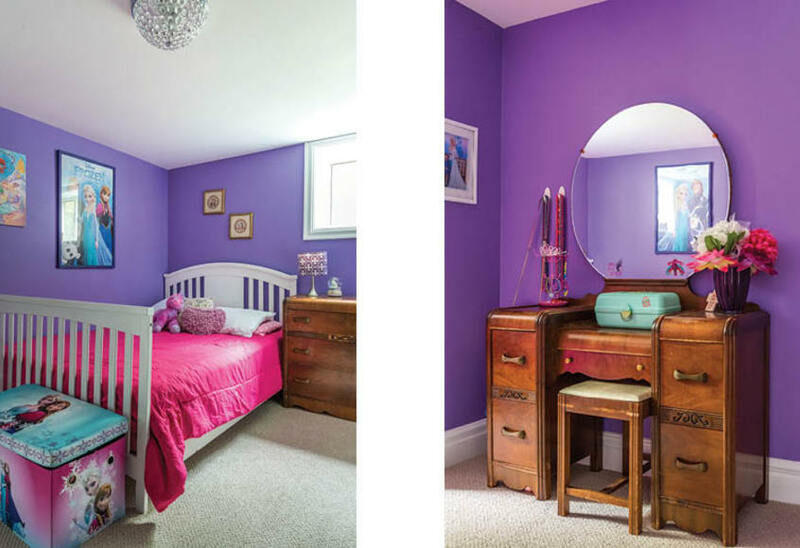 Elliott chose a vibrant purple (Crocus Petal Purple by Benjamin Moore) for her bedroom. The bedrooms are typical of young children, showcasing their interests while also continuing on the theme of old and new. Liam’s room is painted a bright green (Benjamin Moore’s Martini Olive, the same as in the breezeway). The beauty of granite (as opposed to quartz) is that it can be utilized as a fireplace surround because it can withstand the high temperatures. Showcasing the curves and inlays that can be accomplished with quartz, a custom coffee table top was created to mimic a Nintendo controller. In the background is the chest of drawers that has been treasured for generations, and there are plans to restore the vintage cash desk on top to use in the business. Two homework stations were integrated into the custom shelving unit in the lower level. Next up is a custom wall unit to showcase their massive record collection as well as Reay’s Nintendo Entertainment System collection. Pairing two bright red outdoor sectionals is a great solution whether simply lounging or hosting large groups of family and friends. 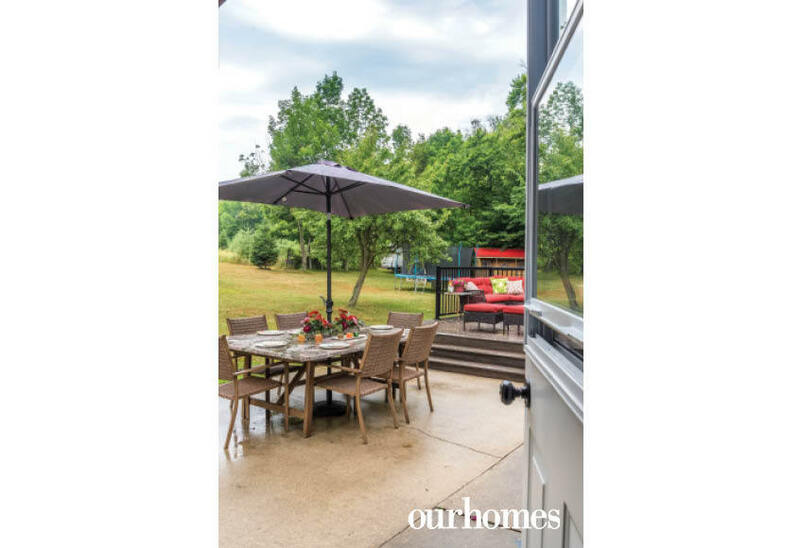 A large slab of granite creates a unique tabletop for dining al fresco.